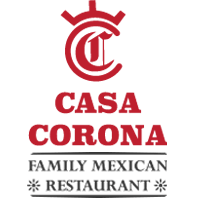 Online ordering menu for CASA CORONA. With over 15 years of experience, respectively, working with Mexican food, brothers Felix and Jose Bracamontes have joined together to bring a bit of culture and traditional Mexican flavors to Marblehead, Massachusetts. We strive to create a joyful, relaxed atmosphere you can come and enjoy the flavors of authentic cuisine with family and friends. Our intimate atmosphere is small, but we can accommodate groups for your special occasions, a delightful meal for two, or a great night out with friends. We have all your favorite Mexican classics, from quesadillas and nachos to enchiladas, salads, and so much more. Our Chef's picks include the Enchilada Tres Amigos, Pacifico Salad, and the Borrego "Don Matute." Find us directly north of Marblehead High School just minutes from the ocean! We are only a few miles away from Salem State University. Order online for carryout!